Surprise guests with a splash of rustic style and color in your living room or entryway with this six door solid wood accent console. Three pairs of doors open to reveal a fixed shelf, perfect for storing cherished dishes or other decorative accents. The smoked glass panes in each door provide easy viewing to all your possessions, and give the 100% pine construction some room to breathe. 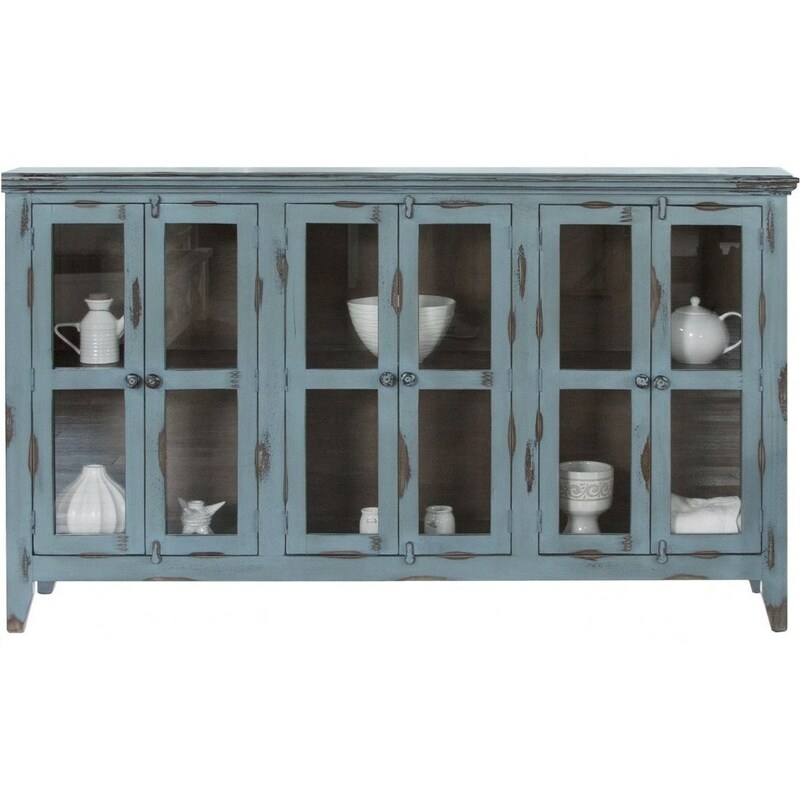 The Antique Rustic 6 Door Solid Wood Accent Console by International Furniture Direct at Zak's Home in the Tri-Cities, Johnson City, Tennessee area. Product availability may vary. Contact us for the most current availability on this product.